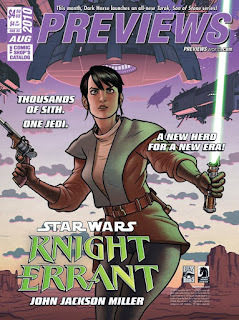 Del Rey and Dark Horse Comics have partnered on an exclusive Issue #0 of the new Knight Errant comic book. The comic will feature the Dark Horse cover on one side and the Del Rey novel cover on the other. The interior will be a mix of comic book, sketches, and an excerpt from the novel. Issue #0 will be available as a free giveaway at the Dark Horse and Del Rey booths. On top of that, there's a Knight Errant panel with yours truly slated for Saturday, August 14 at 4:30-5:30 on the Behind the Scenes Stage with Pablo Hidalgo (W414 ABCD). There's also a Dark Horse Comics panel on the same stage from 12-1 on Thursday — and for readers of the Fate of the Jedi novels, a panel on those in slated for the same location from 1:30-2:30 on Saturday. More news and I have it! "The Republic is in crisis, torn by plague and conflict. The Sith roam unchecked, vying with one another to dominate the galaxy. But one lone Jedi, Kerra Holt, is determined to take down the Dark Lords — one act of sabotage at a time. Her enemies are strange and many: Lord Daiman, who imagines himself the creator of the universe; Lord Odion, who intends to be its destroyer; the curious siblings Quillan and Dromika; the enigmatic Arkadia. So many warring Sith weaving a patchwork of brutality — with only Kerra Holt to defend the innocents caught underfoot. "Sensing a sinister pattern in the chaos, Kerra embarks on a journey that will take her to many worlds and into fierce battles against even fiercer enemies. With one against so many, her only chance of success lies with forging alliances among those who serve her enemies — including a mysterious Sith spy and a clever mercenary general. But will they be her adversaries or her salvation?" They've also provided the name of the cover artist: John Van Fleet, whose other covers include The New Essential Chronology , Darth Bane: Rule of Two , Star Wars: Allegiance , and Star Wars: Millennium Falcon . Once again, the preorder page is live at Amazon; I expect the promo copy and cover will wind up on that page in the near future. 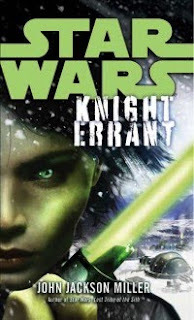 The cover of the Star Wars: Knight Errant novel made its debut at Del Rey's display at Comic-Con International this week — and with the image now circulating online, I've been allowed to post a clean copy of it here. Behold! We also have a new publication date to tell you about; the novel's release has been moved a month earlier to January 25, 2011. That's a really cool date for me — given that the first issue of Knights of the Old Republic shipped on that date exactly five years earlier! That's a that I'm looking forward to keeping! Remember, you can preorder the novel here. Stay tuned for more info, as it becomes available to release! 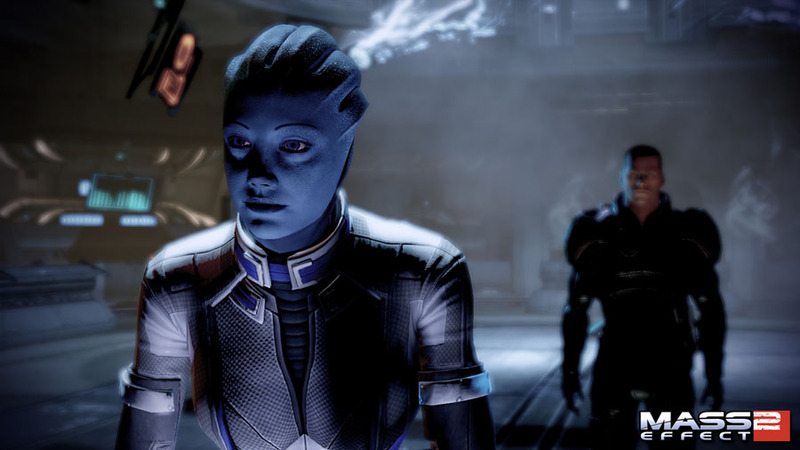 Readers of our Mass Effect: Redemption series know all about Liara T'Soni's conflict with the Shadow Broker. And now, Bioware has announced DLC, or downloadable game content, building off of the events of that story. Lair of the Shadow Broker was announced this week as coming soon from Bioware. "Two years ago, Commander Shepard died and Liara T'Soni fought in a desperate struggle against the Shadow Broker to recover her former Commander," Bioware writes. "Now that Shepard is back, it's time to even the score." I had been aware that DLC relating to Redemption might be in the offing; I'm thrilled to see it announced. What happens in the comics happens in the game universe, too, and so it definitely is worth checking into. If you'd like to catch up on what's been happening with Liara and the Broker, you can get the Mass Effect: Redemption trade paperback from your local comics shop, from Amazon, Barnes & Noble, or Things from Another World. OK, it's hard to communicate how cool this feels to anyone who doesn't have a near-complete 30-year collection of comics distributor catalogs like me, but our title Star Wars: Knight Errant made the cover of PREVIEWS for August. (Thanks, Dark Horse and Diamond!) You'll be able to place your orders at the comics shop next month from this very same catalog. In addition, the catalog cover gives you a first look at the Knight Errant logo! Very busy these days, even without San Diego in the mix. Actually, there's a "Not at Comicon" interview with me coming next week in Red Bull's China Shop magazine. I'll post the link when I have it. Finally, keep an eye on the Star Wars Celebration programming grids as they're updated. We should have our booth signing schedules set up beforehand as well. News is pouring out in advance of San Diego — and via IGN, Dark Horse has just announced my next project: Mass Effect: Evolution. The follow-up to the successful Mass Effect: Redemption, Evolution is actually a prequel, providing an origin story for the mysterious and powerful Illusive Man. Click to read the interview! Our first issue releases in January 2011, plotted once again by Bioware head writer Mac Walters with art by Omar Francia. This time, we've also got cover art from Massimo Carnevale, from Y: The Last Man. I was gratified by the success our first series got; the trade paperback for Redemption hit the Top 20 at Diamond last month. (If you haven't got yours yet, order it here or check with your local retailer.) 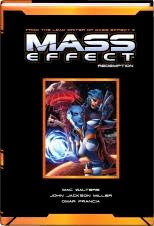 I'm pleased to be able to contribute to this vital chapter in Mass Effect history! 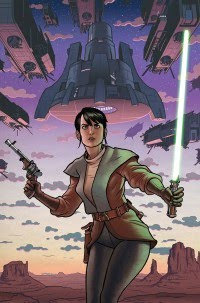 And we have a shipping date — and a story title — for the inaugural issue of Star Wars: Knight Errant. According to the solicitation, the first issue ships October 13 — the week of Columbus Day, not a bad time to embark on a journey! Order the first issue of our first story, "Aflame," next month from your retailer. I've set up a page on the site for the comics series; I'll eventually get a landing page online for the novel. In the meantime, remember you can preorder the novel, too, here. And as I'm playing catch-up, I note that the page for Star Wars: Knights of the Old Republic Vol. 9: Demon has been updated; there really aren't many production notes at all because there weren't any changes from the original comics. More to come. Update: Dark Horse is offering readers a chance to read Knight Errant #1 first, before it comes out — and to be a part of the first issue. Find out how, here! Anyway, let's begin with Mass Effect: Redemption. Notes are now online for issues #3, #4, and the trade paperback. That trade paperback is now available in wide release — order it here — and as it turns out, there's actually a limited-release hardcover, available through the Science Fiction Book Club and through Hastings. Knight Errant interview on MTV.com! 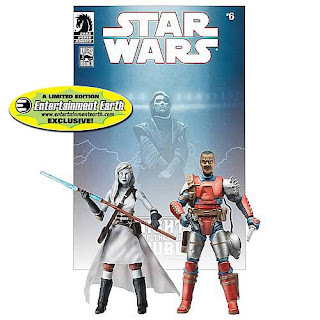 Last week, Entertainment Earth began selling the Jarael and Rohlan action figures as part of a set including the entire final wave of Comic Packs. As of today, they're also selling the pack individually, so you can get just the ones you want. The Comic Packs are EE's best-selling set in a long time, from what I understand. Preorders for the Jarael/Rohlan set run $17.99, with the figures shipping later this year. Also, my podcast with the EU Review is now online. Listen to it here! Jarael and Rohlan action figures now available! * An Entertainment Earth Exclusive! 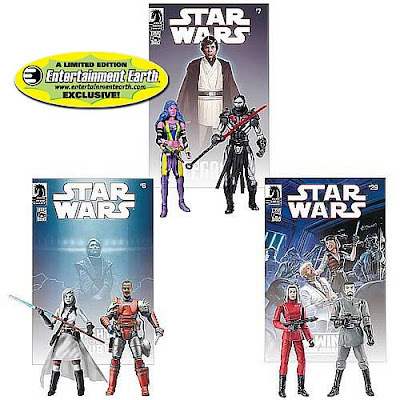 The Final 4 Star Wars Comic Packs! * Features never-before-made action figures from the Star Wars comic book series! * Each pack includes a full-size Star Warscomic book reprint and accessories for the action figures! The Entertainment Earth Exclusive Star Wars Action Figure Legacy Comic Packs Case is so massive, it spans thousands of years of Star Wars history! The tales in Knights of the Old Republic take places thousands of years before the original film, while Star Wars Legacy takes place over 100 years after Luke Skywalker and Darth Vader killed the Emperor. This exciting exclusive action figure set includes Jedi, Mandalorians, Imperials, and more from the Star Wars saga! Each figure is armed with accessories and tons of articulation. Based on the comic book series, these heroes and villains' lives are chronicled but in the special included comic book! Each action figure is in the traditional Star Wars 3 3/4-inch scale. Who Are These Amazing Figures?? The Mandalorian Montross betrayed his brothers during a fierce battle, causing a rift with Jaster Mareel that can never be healed. Each action figure includes a helmet and firearms for action battle fun! Deliah Blue, a Zeltron mechanic, works with the forces of good against Darth Nihl in the far-flung future of Star Wars Legacy. She has her blaster accessory to protect herself, but will that be enough to stop the lightsaber cane of Darth Nihl? In Star Wars' pre-history, Jarael and Rohlan Dyre both fight the good fight against traitors, turncoats, and misguided Jedi Masters. Jarael is an Arkanian offshoot with extraordinary skills with her weapons, and she's brought a staff to protect herself. Meanwhile, Rohlan Dyre has a helmet and a pistol to keep danger at bay, and he's extremely sharp with a blade. 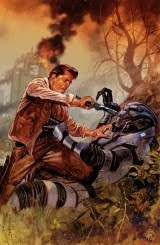 After the Empire's defeat above Endor, Ysanne Isard and Baron Fel fought the good fight to preserve what the Empire stood for against an unappreciative batch of rebels. As the head of the Empire's intelligence division, Ms. Isard has a lot of information at her fingertips, but the blaster she carries is an excellent back-up against interlopers. Meanwhile, fighter ace pilot Baron Fel is dressed in his formal uniform and features a unique helmet along with a standard issue Imperial blaster. Long live Palpatine! Very glad to see that these are making it out!